is at the Humewood Road Station, rusting away. Purchased by the Welsh Highland Railway Project in 1998, currently awaiting restoration. 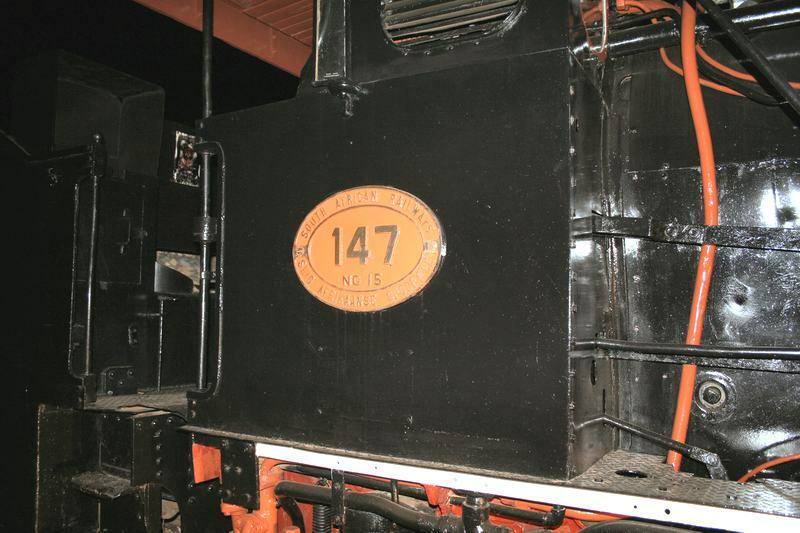 For more information and pictures on the restoration of both 133 and 134 please click here WHR [Caernarfon]. The chassis minus boiler pics were snapped a couple of days after we had freed the boiler from the frames and had it lifted in April 2004. (Note the ex SAR luggage van [see pics of restored van] behind that was donated by Sandstone, this now looks like new after the attention of our volunteer wagon restoration team led by Marcus Ingram). Since then, we have cleaned the chassis further and discovered the 'nasties' - rear cast steel frame stretcher / pony truck pivot needs major attention - corroded through and rear dragbox needs a lot of re-plating. Other than this, generally in very good condition. The boiler doesn't need too much doing to it - small patches required in inner firebox mainly then re-tube. The tender chassis and overhauled bogie were snapped in the workshop around the same time. We need to build a new (and much modified) water tank / bunker. We don't need to carry 2800 gallons of water about - N Wales isn't Namibia, we've plenty of water here! The pic of the rolling chassis under cover in our workshop at last (sorry about the grainy pic - will try and get a better one soon) was snapped a few months ago, just after we had got it lifted and swung onto temporary track into the shed / workshop. Clive Briscoe, Team Leader, 'Team Wylfa'. The story so far is documented on the WHR official website - WHR [Caernarfon]. is at the Exmoor Steam Railway, Devon, UK. 'Kalahari' - Currently awaiting restoration at Schinznacher Baumschulbahn in Switzerland. Many thanks to Thomas Bauer for sending me these photos. is stripped of her cab and also at the Humewood Road Station and looks very rusted and forlorn. is stripped of her cab and is rusting away behind NGG13 No 79, under the single shed at Humewood Rd Station. is stored pending restoration at the Brecon Mountain Railway, and is reported to be in reasonable condition. Thanks Bruce for the info. 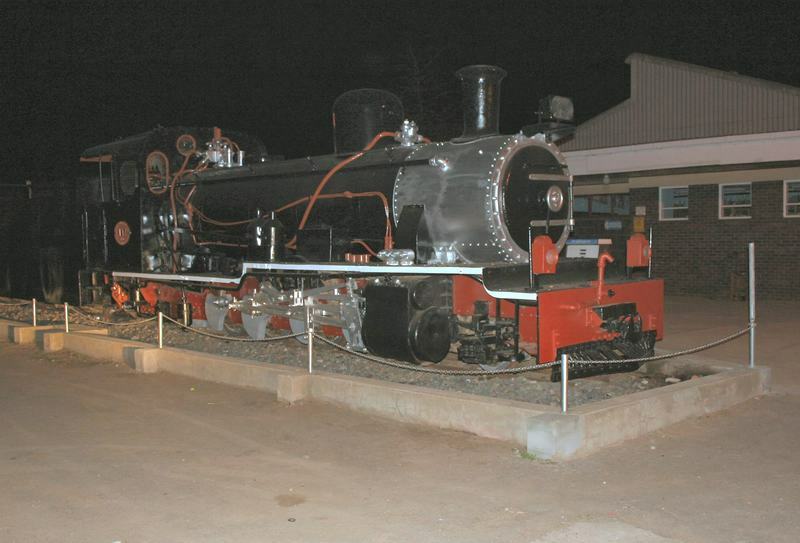 is now plinthed at Avontuur Station. is the last one in the line-up of loco's at Humewood Road Station, she is also rusted and forlorn, but it the easiest one to identify as the number is hand painted on her slightly buckled cab side. 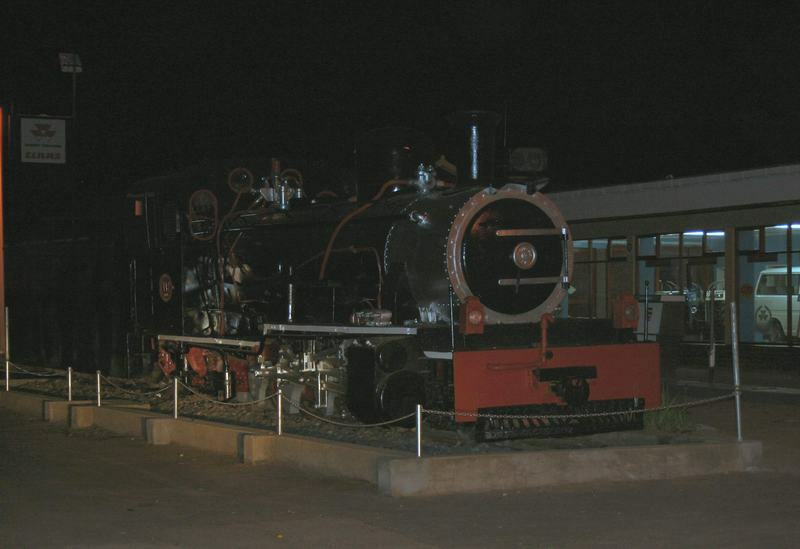 Since the photos in 2004 were taken she has been slightly restored South African style, with graffiti on her tender, see 2006 photo.